Celebrate thirty years of interstellar exploration, trading and combat with this retro Elite T-shirt, from an original painting by celebrated British illustrator, Philip Castle. This design is limited edition - once they're gone, they're gone! We will not be printing another run. The 30th Anniversary T-shirt features bright, vivid imagery from an original painting by Philip Castle. 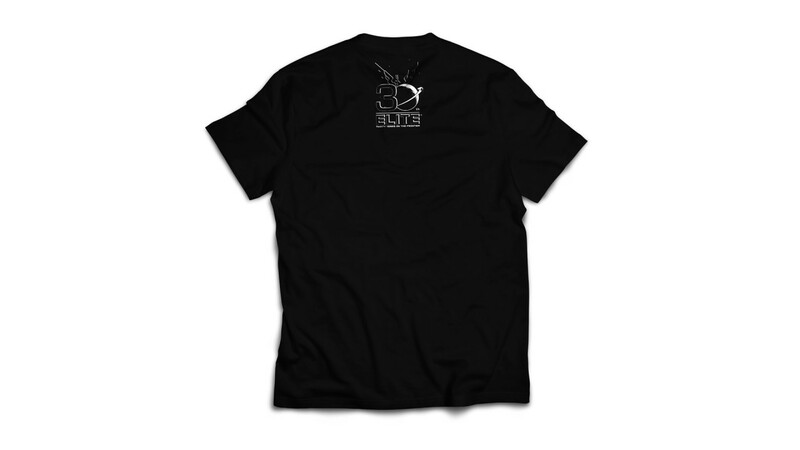 A commemorative print is also featured on the nape of the shirt - a '30th' planetary design that reads ' ELITE: THIRTY YEARS ON THE FRONTIER'. 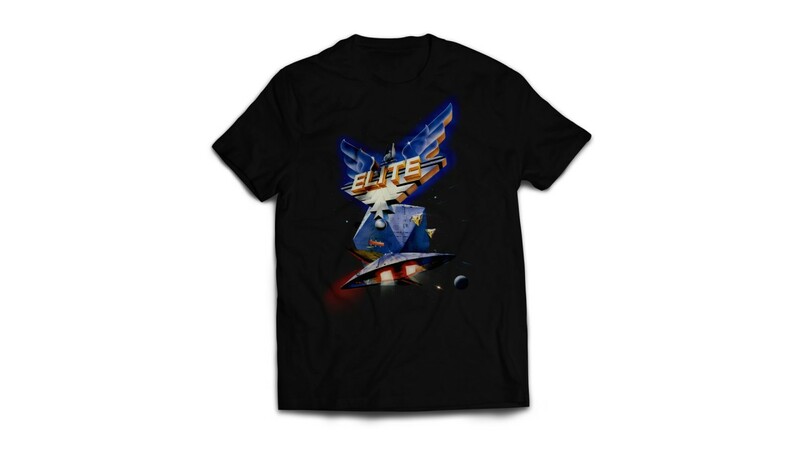 Comfortable and casual, the retro Elite T-shirt has become a firm favourite that wears well on any commander. Philip Castle is a British illustrator, most widely known for his airbrush work, including the iconic posters for Stanley Kubrick's Clockwork Orange and Full Metal Jacket. Also among his back catalogue is artwork for album covers including David Bowie's Aladdin Sane; Pulp's His 'N' Hers; Metronomy's Night's Out; The Rolling Stones' It's only Rock 'n' Roll (But I Like It); and Paul McCartney's Wings tour, along with countless posters for advertising campaigns, book covers and illustrations.